Update at 1:25 p.m. — Power was restored to the entire neighborhood as of 1 p.m., according to Dominion spokesman Charles Penn. The cause of the outage, he said, was an issue with an underground switch. 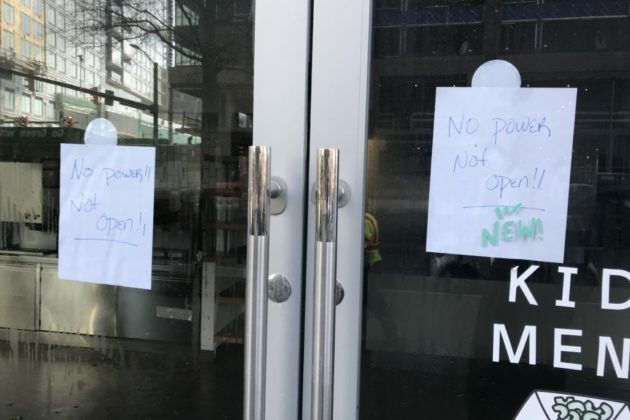 The extended outage prompted many Ballston restaurants to remain closed during lunchtime. 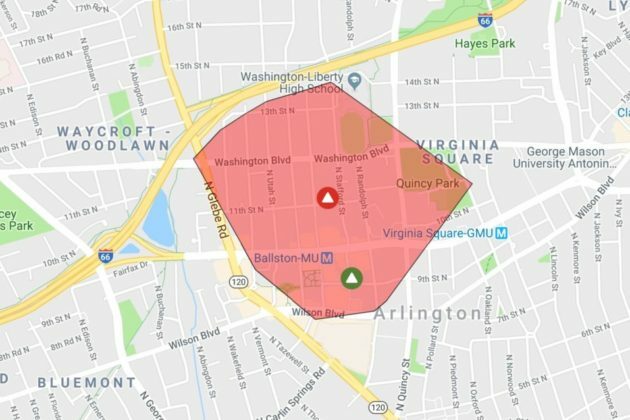 Earlier: Numerous office buildings, apartment and condo towers, and traffic signals are in the dark this morning due to a power outage in Ballston. The outage was first reported around 8 a.m. Among the intersections without a traffic signal was the busy intersection of N. Glebe Road and Wilson Blvd, where traffic was beginning to back up when police arrived on the scene and started directing traffic. Also affected by the outage is Arlington Central Library, which announced that it will remain closed until power is fully restored. Dominion reports a total of 2,640 customers out in the area. The cause is listed as “pending investigation” and the estimated time of restoration is 10 a.m.-1 p.m.